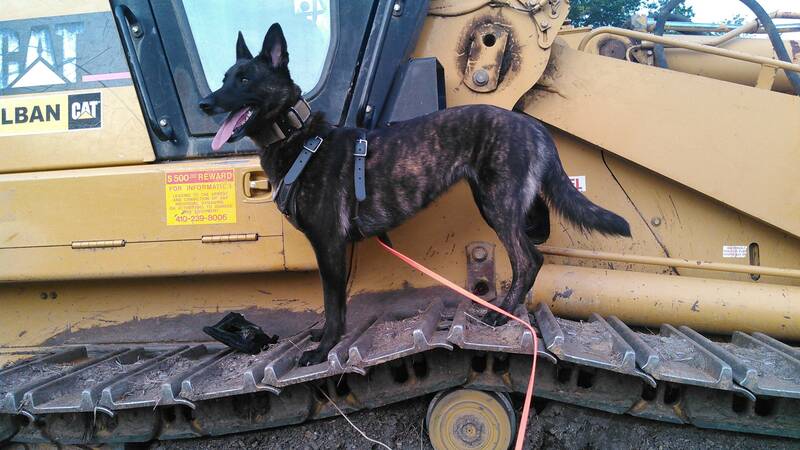 Tell us about yourself: We just rescued a 3.5 y/o Dutch shepherd, looking for some training help! I am new to the forum so please bare with my long post please. I also know there are similar posts to this, but I am not sure how many of them are geared towards older, rescued DS's, with little/no training. 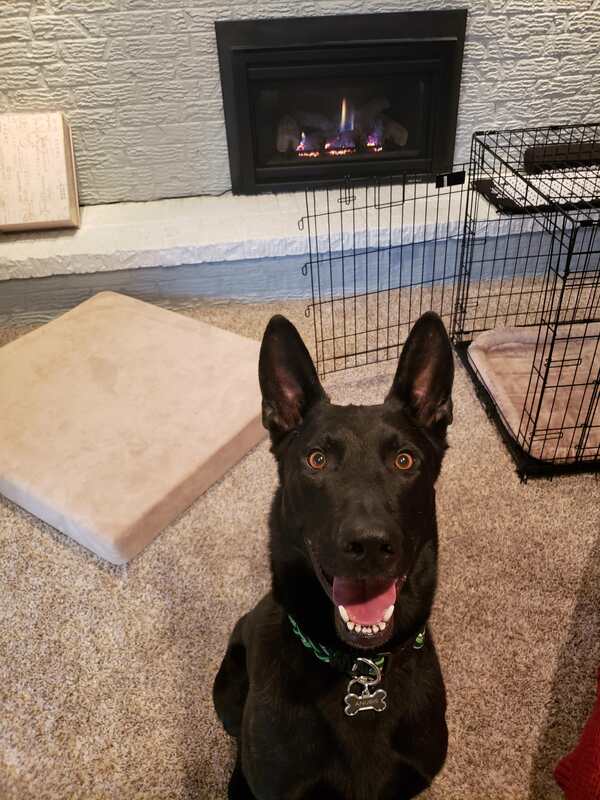 We have just adopted Anubis, a DS from a dog mill rescue here in Colorado; he is 3.5 years old and a very nice boy, all he really wants is to be petted for the most part. We have been trying to work on his walking on a leash to get him to not pull so much, we use a harness with him to help with the pulling but he doesn't really seem to be learning too much about it. And recently he has started barking like crazy, and I am not sure if it is out of excitement or nervousness. When him and our other dog (Australian Kelpie) play, and i break them up (we are still getting them used to each other) he will start barking for anywhere between 30 seconds to 5 minutes. I just turn my back to him most of the time and don't acknowledge his behavior. And over the weekend we took both of the dogs to an indoor swimming class that teaches your dog to swim and teach water confidence, but whenever he was the one that wasn't going into the water he would bark the entire time. Even during the safety brief the lady asked someone to take him outside because he wouldn't stop barking. Are there any training methods to teach him how to walk properly on the leash without pulling so much? My GF typically likes to try and walk him but his pulling gives her rope burns on her hands and pulls her around if he gets too excited. I am also looking for ways to stop the barking as well! Last edited by Kanoble88 on Mon Oct 22, 2018 7:17 pm, edited 1 time in total. •figure out what he is most motivated by and use it. •train you heel position before expecting any positive change in your walks. welcome !! He is beautiful. Harnesses are for creating drive, hence, he pulls more. Go to a collar. He barks for a while after you break up the play because he is still wound up, they cant just stop and switch gears that quick, the play excitement has to have a cool down period. You are asking him to stop playing and switch the switch off, they cant do that. 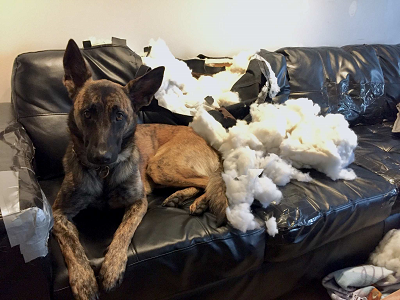 When you break them up, take him to another room and let him walk it out a bit, or just give him some time to quiet down, give him a tug or a toy to sooth himself with. Turning your back is good for some things but he needs to have a cool down time and turning your back does not help him learn how to calm himself. again, the barking while not swimming is out of the frustration that he is not doing something. these are dogs that must be doing something at every minute, and when they are not, with out training to self sooth, they will bark or do something to vent the energy. he is not doing anything bad or wrong, just his way of venting. look for reasons why he is doing something, then you can adjust the training to teach him something new. These are all dog behaviors, nothing bad, he just needs redirection. Anubis actually came with a martingale collar, but it seems to deter him less than the harness. We take him to training classes, but they haven't gotten to walking yet, they are still learning the side technique (standing next to me) right now. They actually require a no pull harness in class which is why we started using it. I can try using the martingale collar again though and see if it will make a difference. We are new to DS's so aren't exactly sure what is considered normal and what isn't. Our Kelpie is really high energy which is why we got him, so they can play and become best friends and wear each other out. many breeds have enough energy to play, My basset can keep up with Sadie quite fine. This energy is a prey drive energy and does not run out. Hi! Following this same-ish issue here with the pulling and harness. I’ll be stopping for a martingale collar on my way home !